Barnes & Noble College will be among over 200 exhibitors at this year’s National Association of College and University Business Officers (NACUBO) Annual Meeting, Scaling New Heights. The annual meeting is taking place at the Washington State Convention Center, in Seattle, from July 19-22. The NACUBO 2014 Annual Meeting will attract hundreds of exhibitors and over 2,000 attendees looking to gather ideas, find solutions, and tackle many of the problems and challenges that affect the higher-education industry and institutions. Attendees can visit booth #801 and learn more about how Barnes & Noble College supports and celebrates the social and academic aspirations of the students, faculty and administrators it serves. 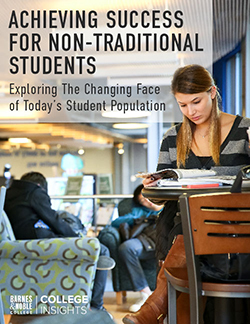 Barnes & Noble College does this by delivering its partners what’s next — transforming their bookstores into social and academic hubs that foster genuine connections and draw the campus community closer together and closer to their school. In addition to being an exhibitor, Barnes & Noble College is proud to be a Diamond Sponsor of this year’s annual conference. If you are attending NACUBO, please stop by booth #801 to learn how Barnes & Noble College can transform your campus bookstore into a destination, enhancing your students’ social and academic lives, while driving brand loyalty and valuable revenue for your school. We foster relationships that are built on your mission and your brand – celebrating your students, faculty and staff. Experience a campus bookstore partner with a greater purpose. 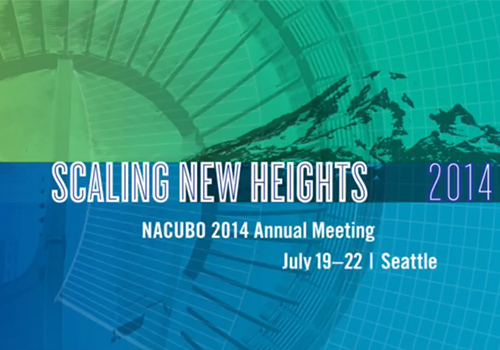 For more information on the NACUBO 2014 Annual Meeting, visit www.nacuboannualmeeting.org.